I am building an electric HERMs setup and water tested the seals on the fittings for the hot liquor tank last night (all weldless valves). It was late so I decided to let it go all night. 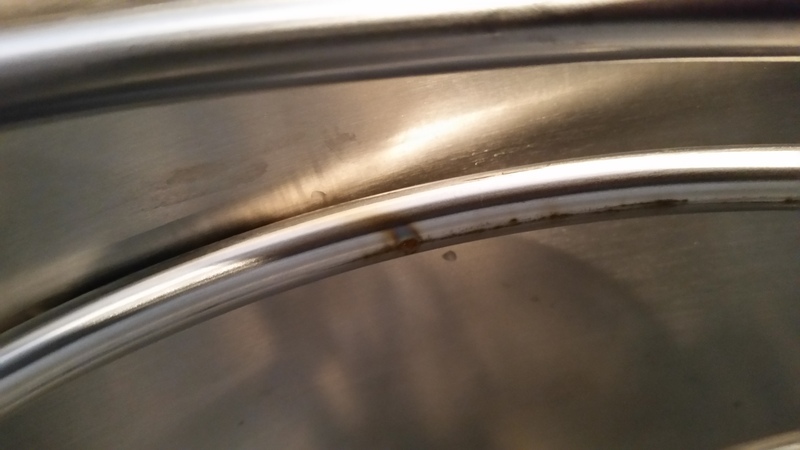 When I drained the pot this morning, the stainless coil has like a dark stain on top of the tubing. Should I be worried about this or just clean it off an move on? Thanks for the help. I'm going to take some bar keepers friend to it and see what happens.